I am sure that many of you read my last post on historical venues in Boston and thought to yourself “I would never...” Well you are in luck: Boston is full of amazing modern unique venues and this post features some of my favorite Modern Spaces. Do you identify with being “Green”? Is limiting waste and being a good environmental citizen important to you? Do you dream of blank walls and white space that you can transform into your own? Do you want an event that is modern & edgy? Although you may think that you need to travel to Manhattan or San Francisco to meet your needs, the city of Boston has a lot to offer the modern-focused couple. 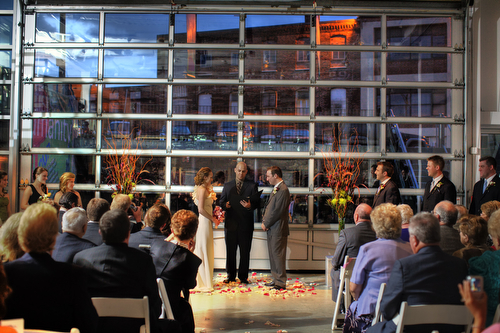 Artist for Humanity EpiCenter, the first LEED Platinum certified building in Boston, is available for Weddings (and other Events too!). Located in the middle of South Boston with amazing views of the Back Bay Skyline, this is the perfect space for an Eco-minded modern couple. The event space a lofted gallery with room for a cocktail hour, outside ceremony and seated dinner. The space is very much a blank canvas and offers the convenience of ample parking and easy access to public transportation. (Warning: LEED Certification comes with some trade offs: including no Air Conditioning!) Artist for Humanity is a non-profit organization that employes Boston Teens to work and gain experience in Digital Media/Video, Graphic Design/Motion Graphics, Painting/Murals, Photography/Web Design, Screen Printing, Sculpture/Industrial Design, Web Design. All the rental fees support the mission of the organization: the students are also available for wedding driven design work: need a logo, invites, paper products or even a website?? they can help!! 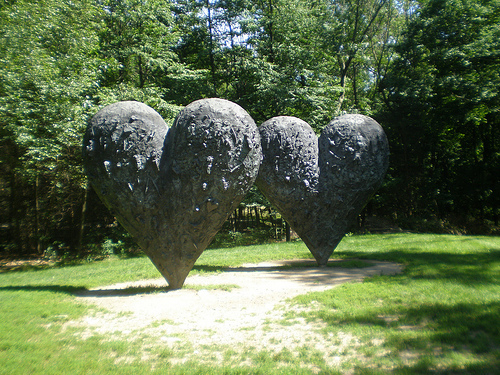 If modern art space is appealing to you but an extremely urban environment is a deal breaker than look no further that the Decordova Sculpture Park & Museum. Located in Lincoln, Massachusetts, the Sculpture Garden offers distinctive spaces for ceremonies and receptions; including library and/or gallery space, a rooftop terrace and the garden itself. 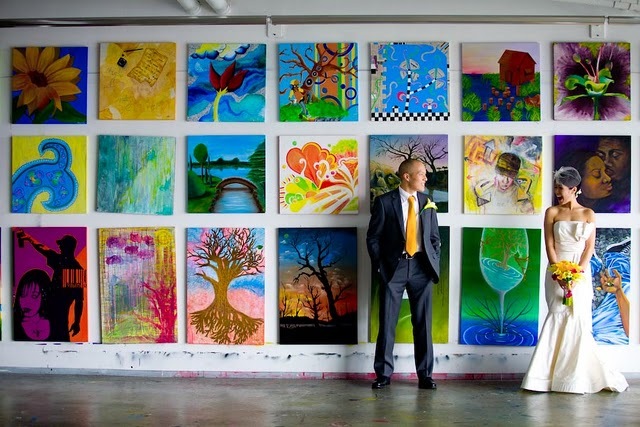 Similarly, the Griffin Museum of Photography located in Winchester, Massachusetts rents out their gallery for Weddings. The museum is housed is a charming stone building and provides an excellent backdrop for ceremonies and photos. The photo exhibit is ever changing so you will want to inquire about the exhibit schedule prior to booking. Moving back into the city center, The Institute of Contemporary Art is located in downtown Boston on the Waterfront. The building itself is an architectural marvel (and also an excellent place for Engagement Pictures!) 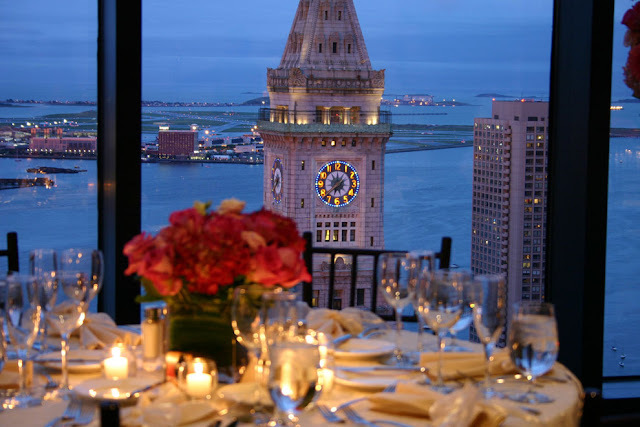 and provides breathtaking views of Boston's harbor and skyline. The museum is well equipped to handle weddings and uses Wolfgang Puck Catering as their exclusive caterer. Fancy! For brides and grooms seeking an urban and modern reception that is all inclusive, there are few venues better than the State Room. Located on the 33rd floor, the State Room provides a stunning modern space overlooking the historic Boston Waterfront: the Great Room features floor to ceiling glass walls offering incredible panoramic views and a truly “Boston” experience. All these spaces offer the opportunity to make the space your own in unique or traditional ways. If these spaces are too expected and not “outside of the box” you'll have to wait for the next Boston focused venue post!! !